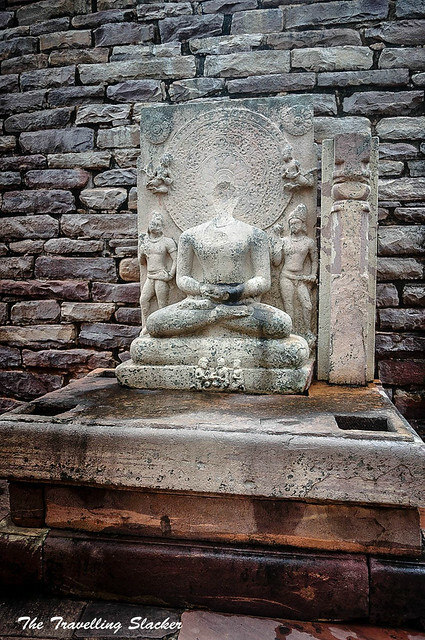 After spending a day in Vidisha, I set out for Sanchi the next morning for a date with Buddha, Dharma and Sangha. 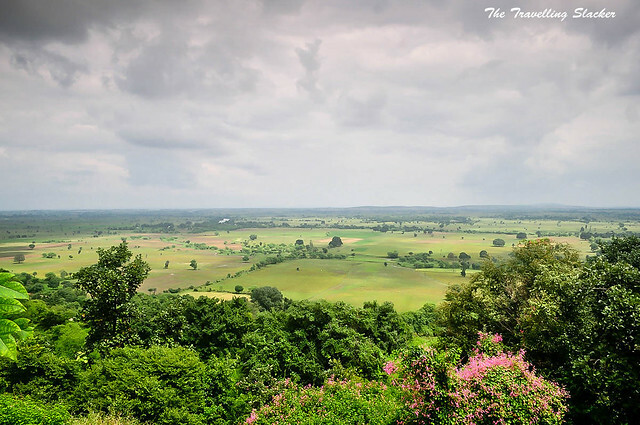 Unlike Vidisha, the roads leading to Sanchi looked much better and occasional drizzle made the weather pleasant and the sky photogenic. 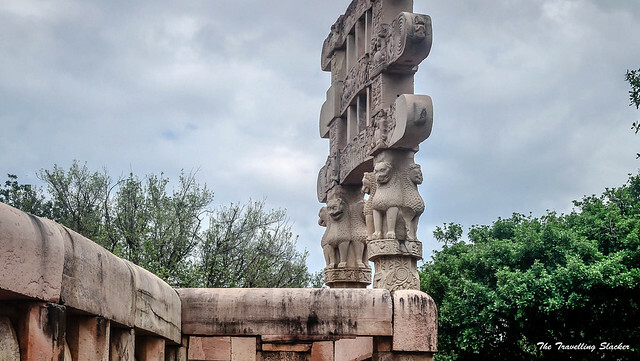 I was also relieved to figure out that as a UNESCO World Heritage Site, the Sanchi monuments are much better maintained compared to the Udaygiri Caves. The entire compound is immaculately crafted and complete with interactive audio guides (something I never use) and is situated atop a hill overlooking the area. 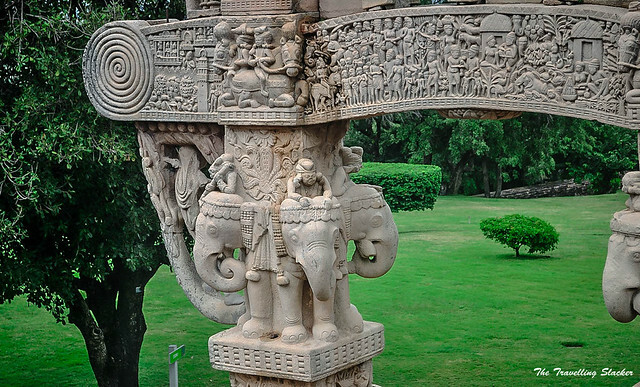 The monuments of Sanchi are some of the oldest surviving monuments in India. 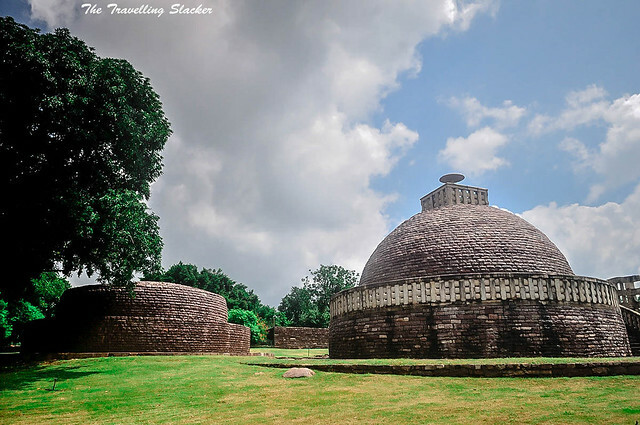 The history of the Sanchi Stupa dates back to aorund 2nd or 3rd century BC. Considering the fact that they were forgotten and devoured by jungles for many centuries before getting rediscovered by the British, they are in remarkably good shape. 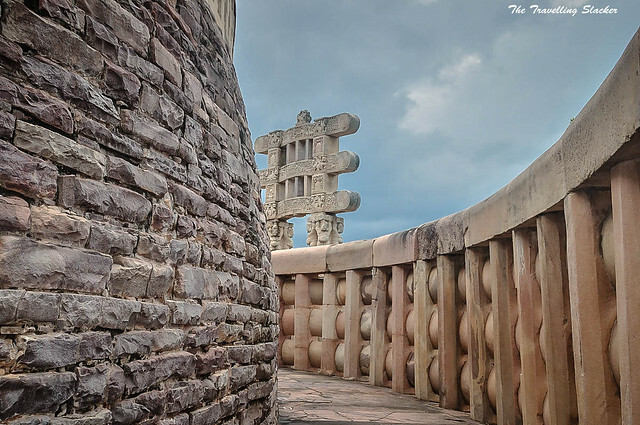 The heart of the entire site is the main Stupa which is surrounded by four intricately sculpted Toranas (gateways). Then there are a couple of smaller Stupas, temples and other constructions that one can imagine to be abodes of the monks (Viharas). 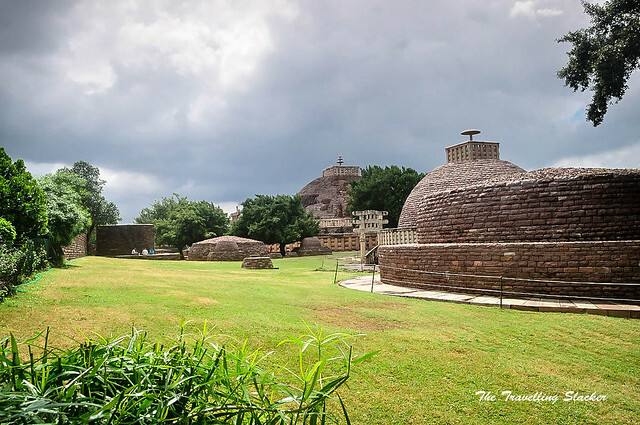 While the main stupa was commissioned by Ashoka the Great, the remaining structures are believed to have been piled on over several centuries by the Mauryas, Shungas, Satavahanas and Guptas. 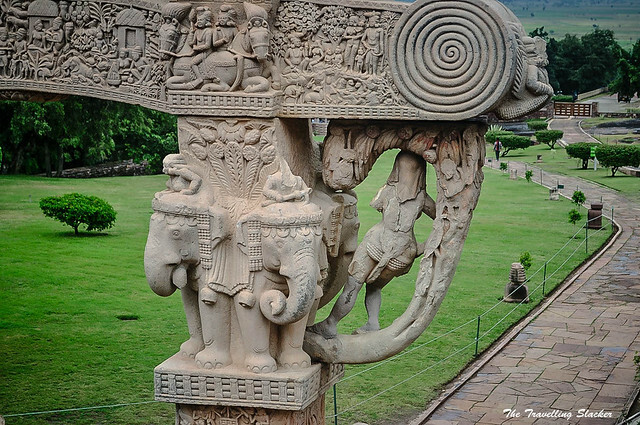 The most striking and enduring features at Sanchi obviously are the Toranas. These are the structure I still remember from my childhood (They were there either on some postage stamp or banknote). 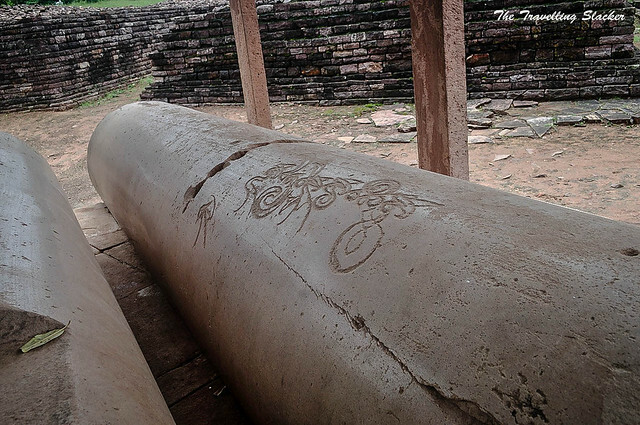 As mentioned earlier, the main stupa is surrounded by four Toranas on four sides. 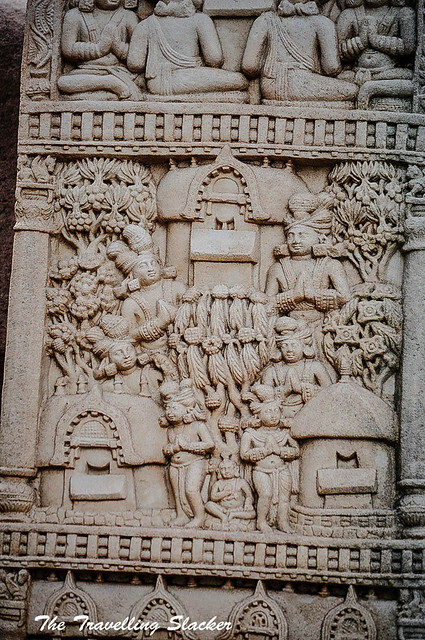 Each of them have different set of sculptures and they generally tell various stories related to the life of Buddha and the myths surrounding him. I have always had an unhealthy obsession for classical Indian female figurines. The Eastern Torana has some of the most prominent ones of those. I tried to capture them from all possible angles as my alter ego romanced them. 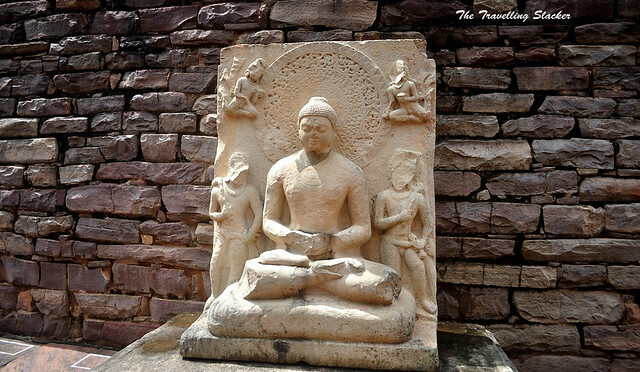 Buddha is everywhere at Sanchi. Without him this monument would not exist in the first place. 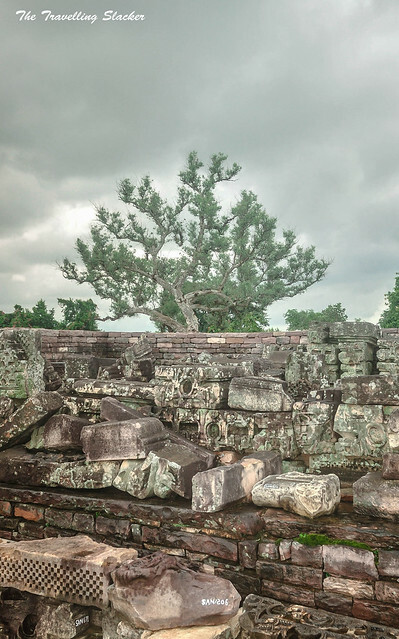 The stupas were originally built to preserve the relics of Buddha and some of his disciples. I am not sure if they are still there inside the stupas but nevertheless, one does get that overwhelming sense of a more evolved spirit looming large. 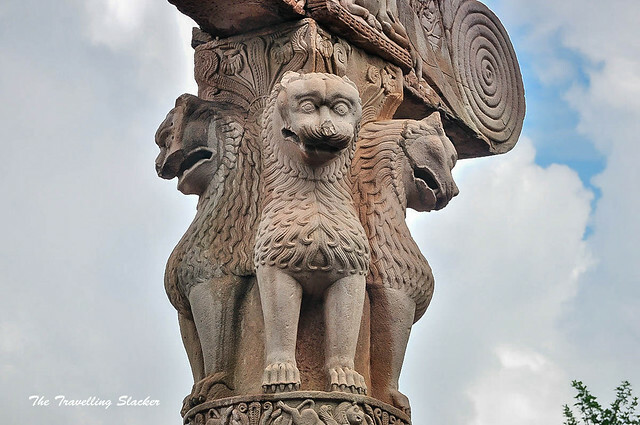 The Ashokan Lion Capital is the national emblem of India. That is why we are all familiar with it. 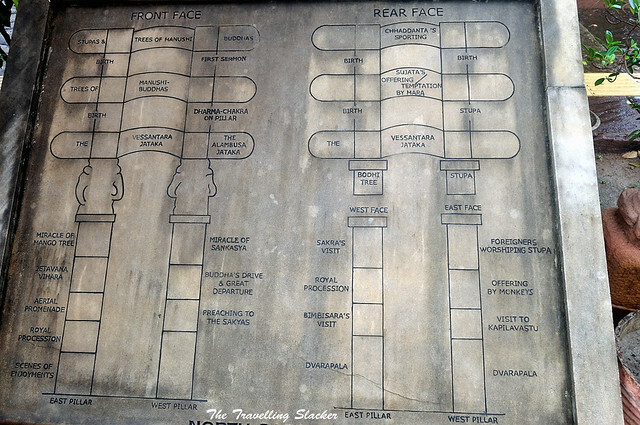 The most prominent one of its kind is there at Sarnath near Varanasi. 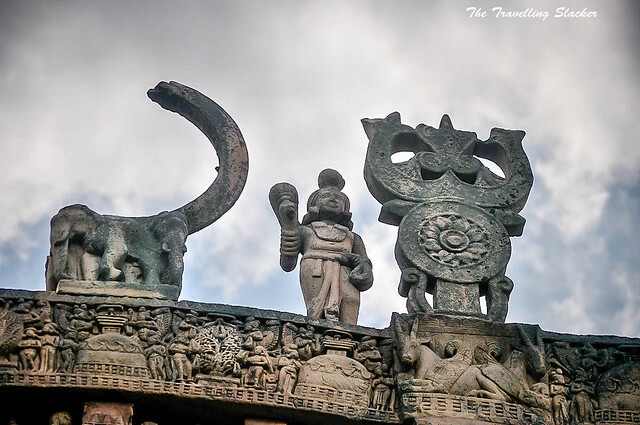 But Sanchi also has a few of them. 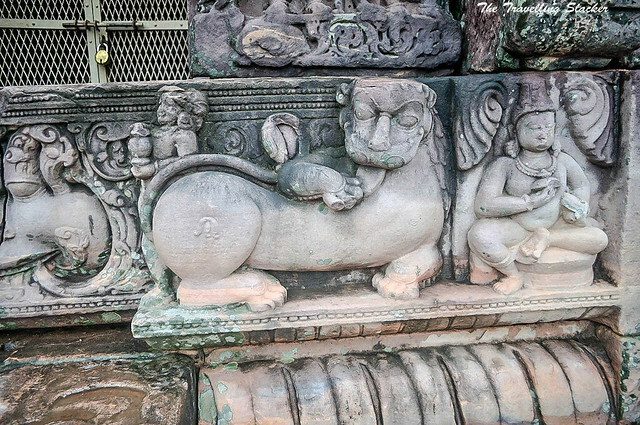 One of the Toranas boast of similar lion sculpture. There is one more inside the museum, but photography is not allowed there. Apart from these, there are a few more pillars, temples and not exactly describable ruins inside the compound. If the place was not as crowded, I am sure it would have transformed into a different era. Nevertheless, it still offered a satisfactory dose of Indophilia. 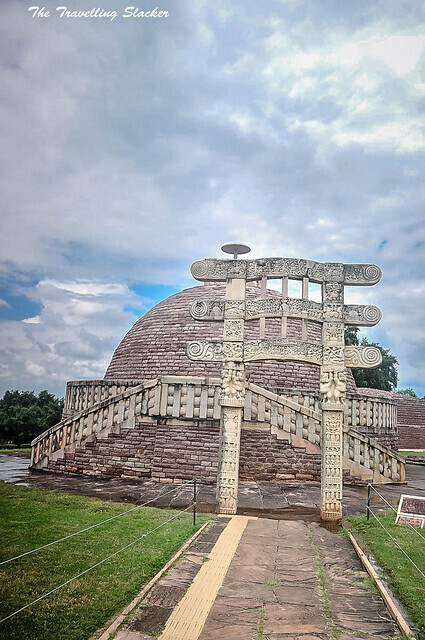 Sanchi is only around 40 Kms from Bhopal. If your are coming from south, that should be your base. On the other hand you will reach Vidisha first if you come from North. 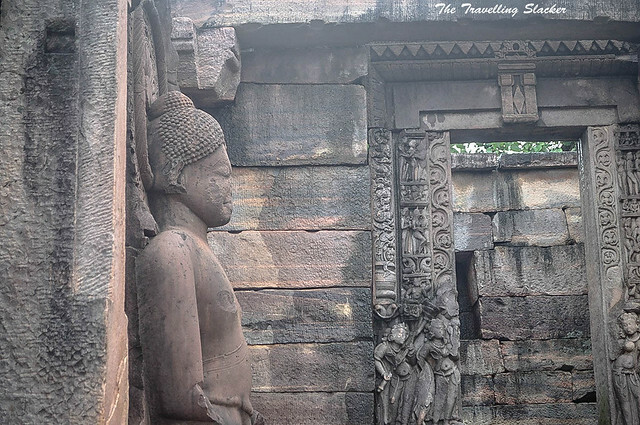 It is a smaller place but it is merely 10-12 KMs from Sanchi and there are other places to see at Vidisha. From Vidisha you can hire an auto rickshaw to reach Sanchi. I think there are luxury accommodations in Sanchi. But I think it is better to Stay in Bhopal or Vidisha to get better transportation options and other amenities. The entire compound should take a few hours to cover. The main stupa is visible even from a distance. 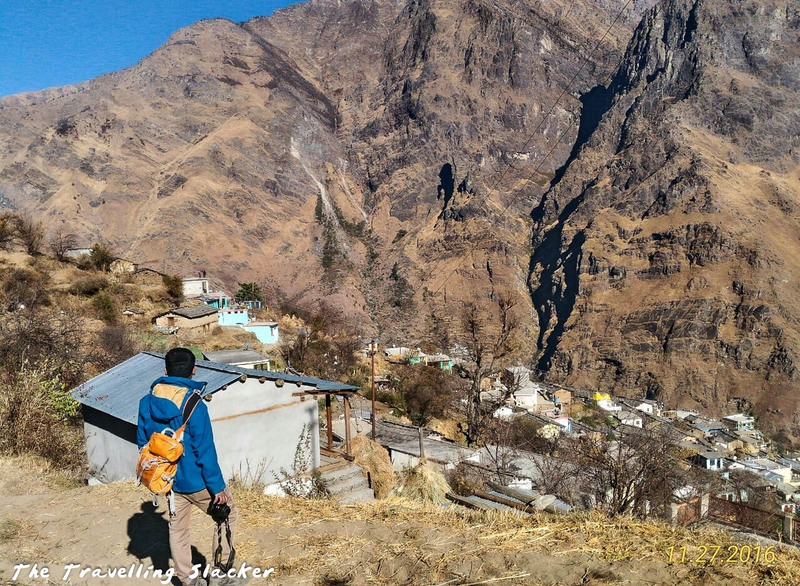 There are smaller stupas, ruins of temples and other structures and all of them are full with some of the finest craftsmanship you will ever see. 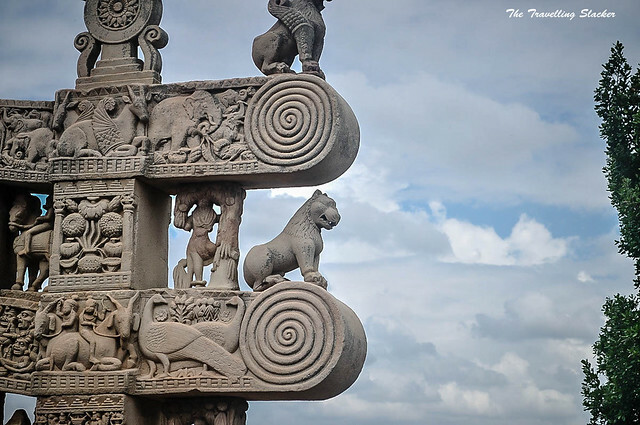 The Sanchi Stupa remains a popular mascot in modern India probably because it reminds us of a glorious past. It used to feature in some old notes and now it has made its way to the new INR 200 note. 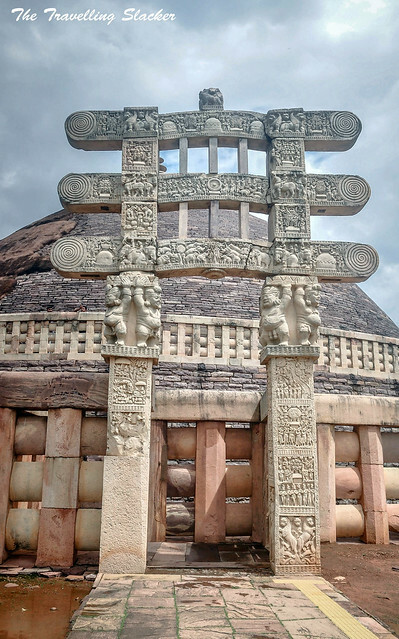 Philatelists can also look for a postage stampt featuring the Sanchi Stupa. Excellent Jitu. Very good photographs. That’s a really nice place! I loved the pictures and I’m intrigued to visit it someday. 🙂 Thank you! Great post ! Each of the pics have been wonderfully captured and excellent PP work. Its very informative, well written. I would say having visited Sanchi and Vidisha umpteen times, its best to make your base in Bhopal and travel using a cab/bike . 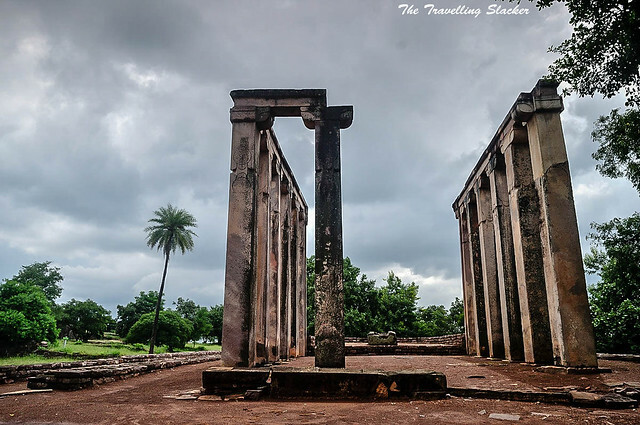 Road to Sanchi passes through the Tropic of cancer line and is a mandatory stop over. BTW, I have a question. What is the significance of those Toranas? I tried doing some high level wiki but could not find anything specific about the toranas. Most probably, they act as gateways to the stupas. 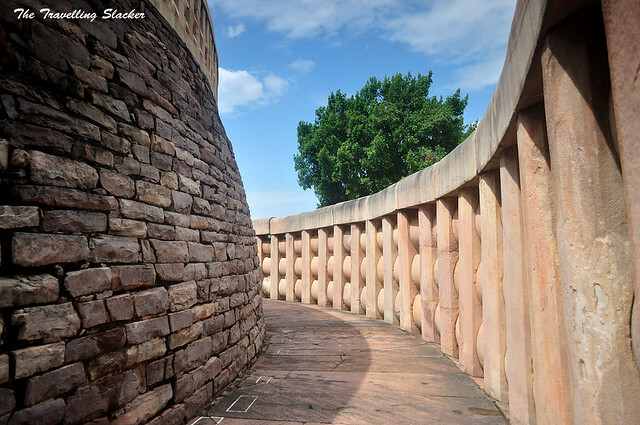 lovely images of sanchi….and brought back memories of my field trip to vidisha (for 15 days) and also to sanchi and udaygiri during my master’s studies!! vidisha has got some hidden jewels..a temple standing in the middle of a flowing river(betwa as fas as i remember)…. 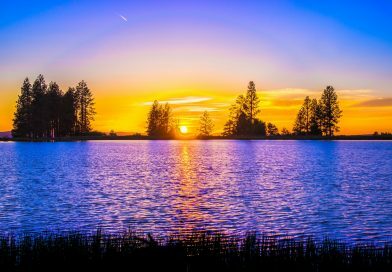 Nice work – keep it up ! I’m sure it was a great experience to be at a place of such historical importance. Long live these structures! I must say this again — those pictures are awesome. Beautiful clicks. Best for me is the one with curvy staircase. 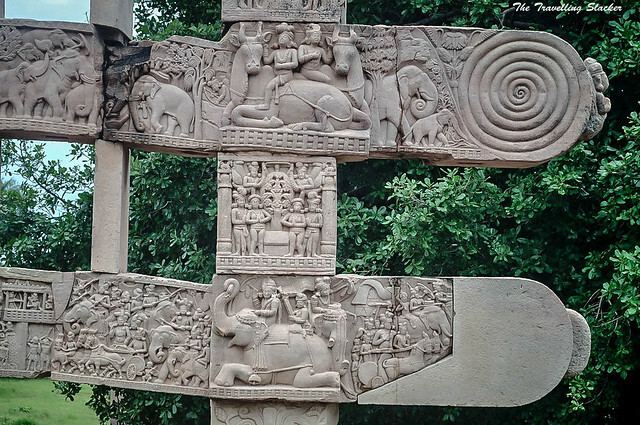 Sanchi is on my list. Was wondering if they have any classes in Buddhist Meditation in Sanchi? Great photos! 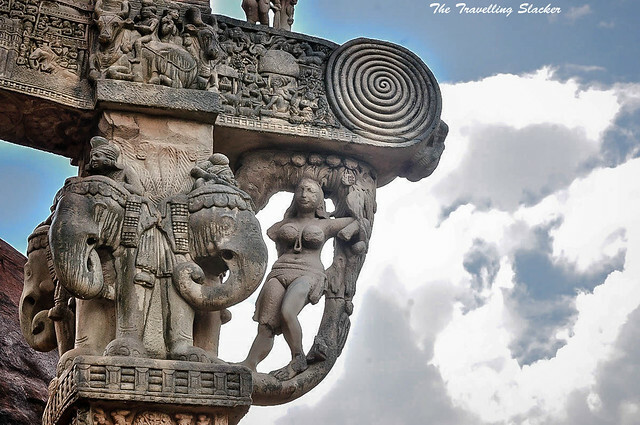 Sanchi looks pretty cool. How easy it it to get to in general? We’re looking to move through india as part of our travels next year, any advise would be of use. I had actually never heard of this place but it looks incredible! I can’t get over how well preserved everything is! Would love to visit one day! What a wonderful post. 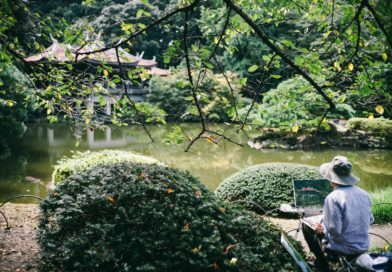 I love anything to do with the ancient world and culture and you have managed to capture this in you post especially within your photos. 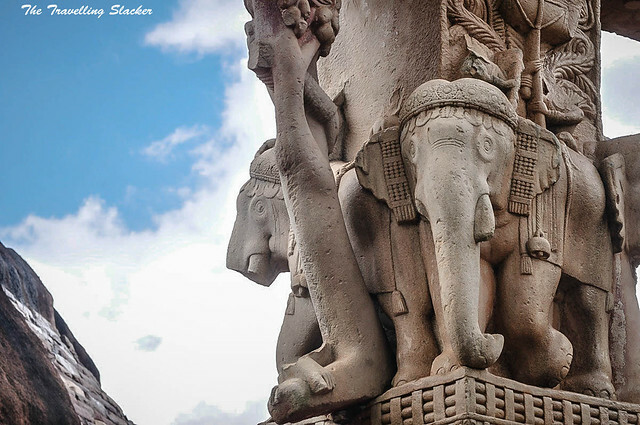 Very beautiful pictures of stupas in your blog. 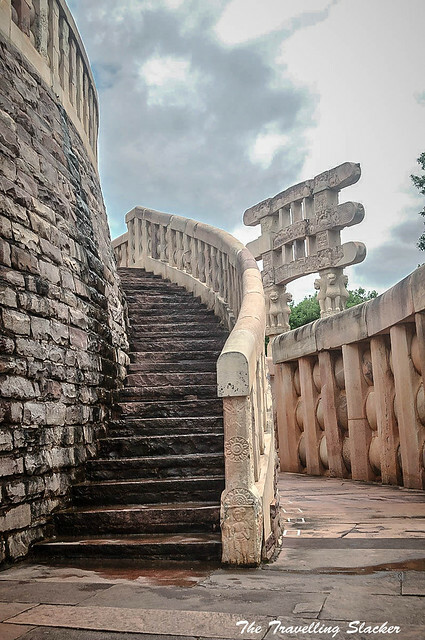 I have visited Sanchi through Bhopal and really it is an enriching journey.It is really incredible to have Buddha’s place in Sanchi preserved so well but very few people know about it outside India. Your blog will put Sanchi popular. 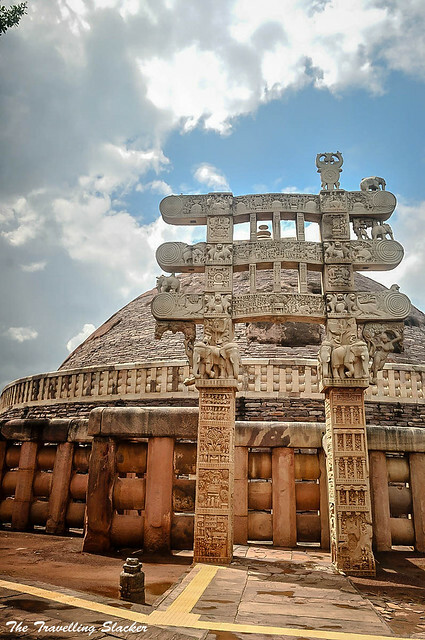 Sanchi Stupa is really one of the best heritage sites in India and is an example of the traditional indian architecture. YOu have really described the place nicely and the pictures are really cool. 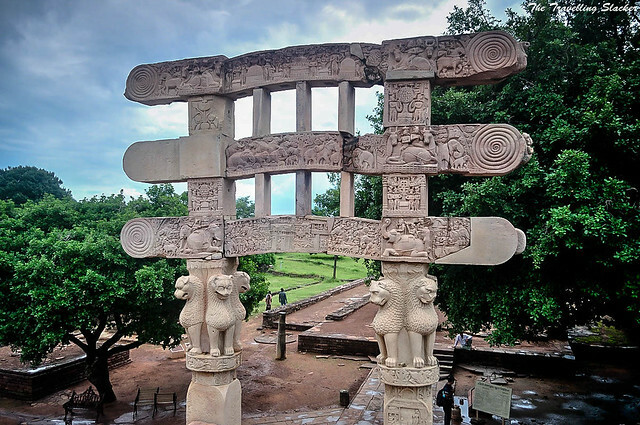 I must confess I’d never heard of this UNESCO world heritage site, the Sanchi monuments. I guess it’s an important part of your culture as theToranas were on the postage stamps. You photographed the site beautifully showing such detail in the buildings. I have not read about this UNESCO site before. The stupa looks very interesting, well-maintained, and clean. It is also good that there is an interactive audio that you can use. 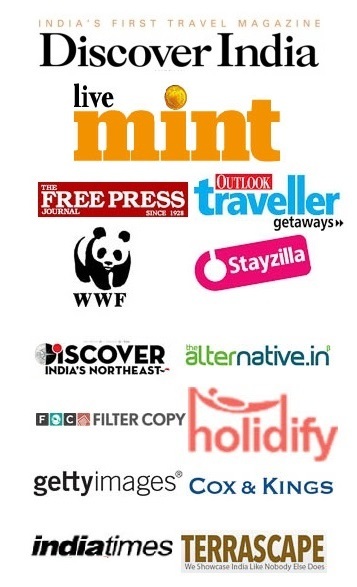 I use this whenever it is provided in any tourist attraction that I have visited. The sculptures are beautiful. 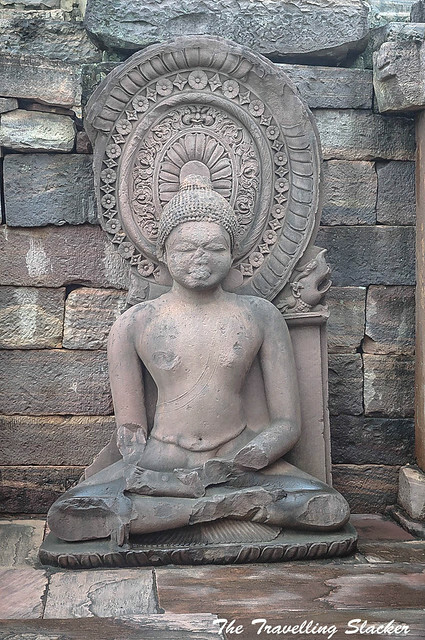 The head is missing in one of the Buddha’s statues. It may have fallen off or maybe it has been like that for a long time. I was supposed to visit MP earlier this year and somehow it didn’t happen! 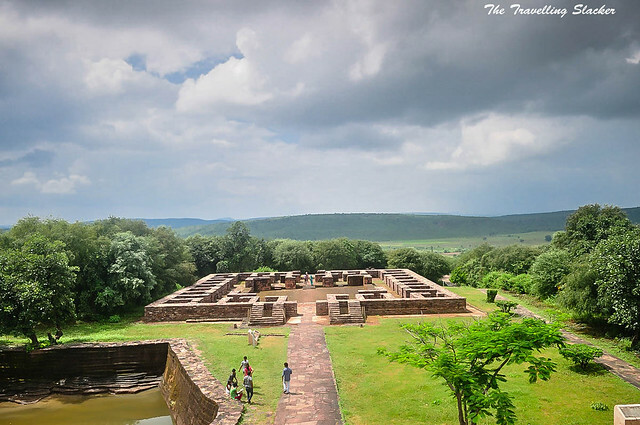 MP has so much to offer for me, be it Bhimbetka or Sanchi Stupa, I’ll be totally mesmerized! Yes, I too have an immense adoration for Shalabanjika-s.